Rarontoga in the Cook Islands is known for its beaches, culture, amazing snorkeling and a gorgeous lagoon. 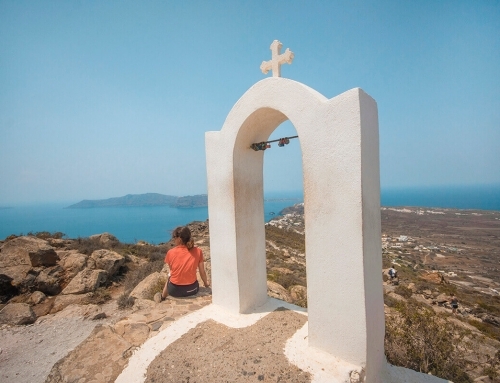 Though, the mountainous middle of the island is often forgotten. 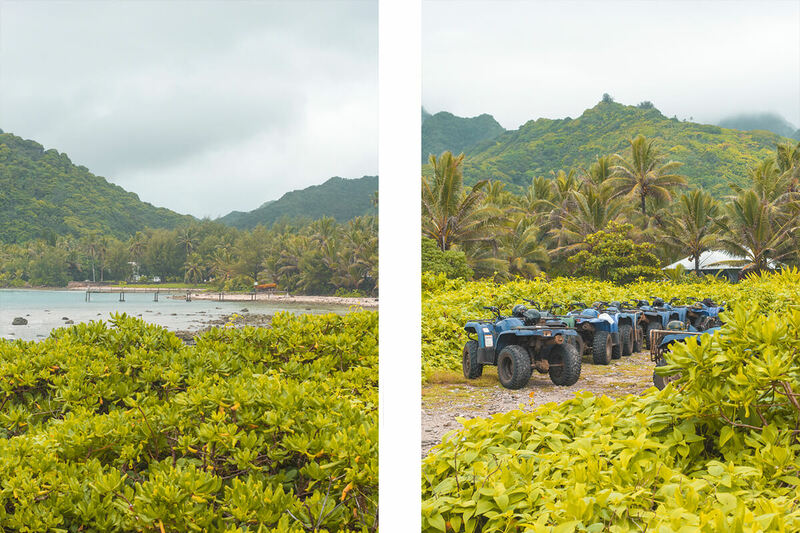 Lucky for me, Raro Quad Tours explores this inland terrain of Rarotonga zooming around on quad bikes. 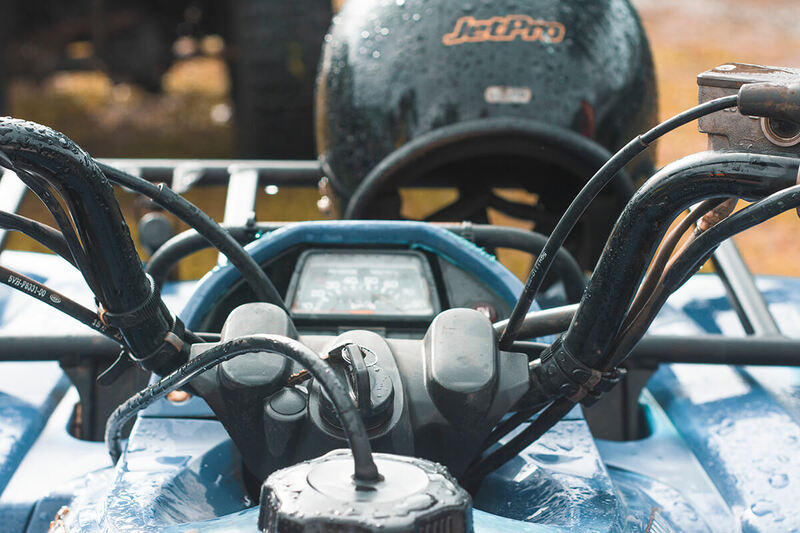 It is the perfect way to spend the morning and experience something more adventuress. 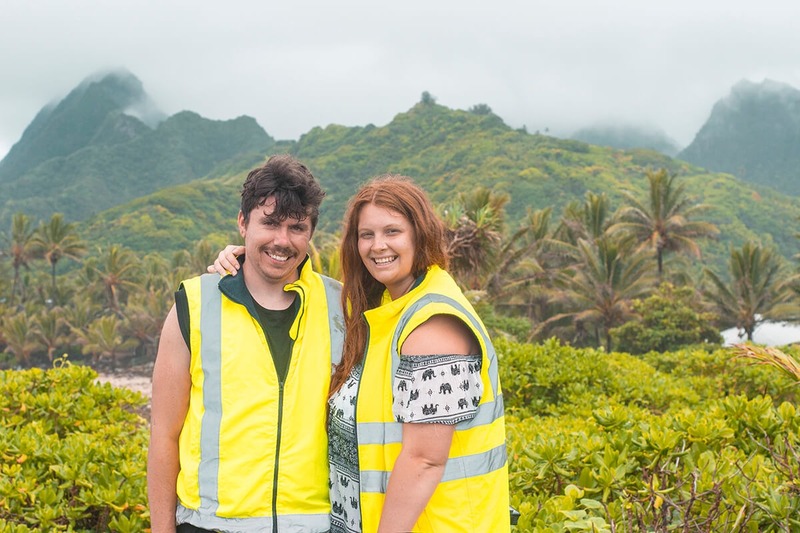 2 Why Raro Quad Tours? 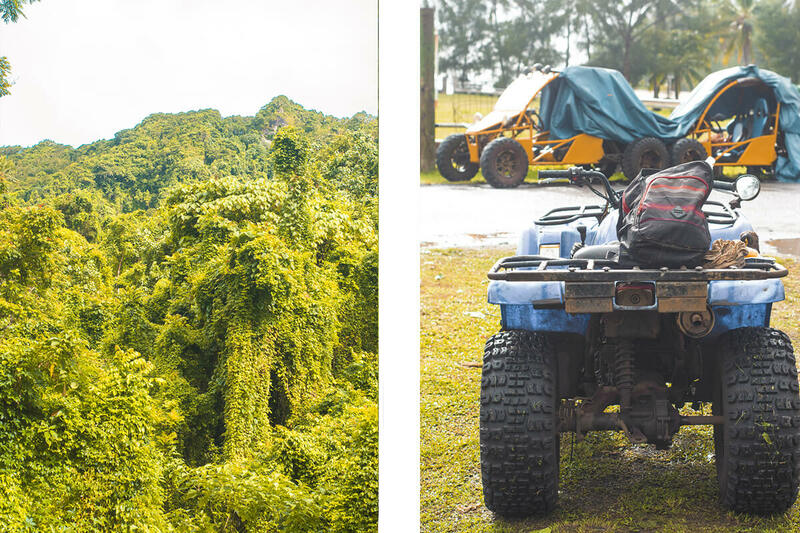 Imagine whirling around on four wheeled vehicles, splashing in all the muddy puddles and speeding under the dense forest overhead. 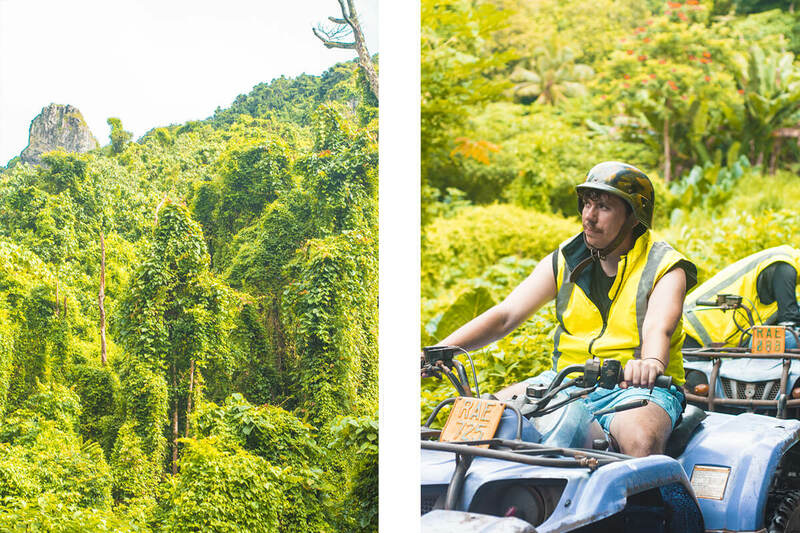 You look up and see towering cliff sides covered in vegetation, this is the true Rarotonga. Zooming off the main road in Muri Beach and into The Rarotongan Hotel we dart into reception, hiding from the rain. The friendly staff greet us with a smile while we sign in for this mornings adventure. In our group there is about nine people and two guides. 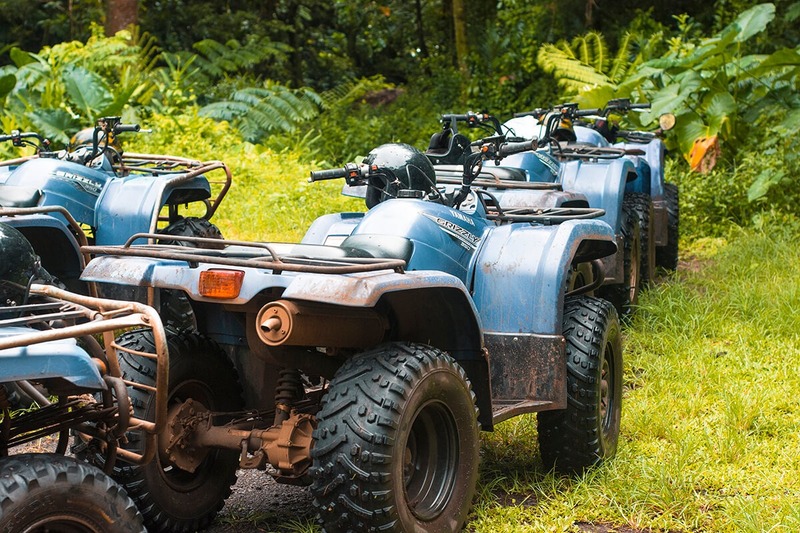 We are shown to the quad bikes and clamber on top. Strapping on the helmets we are given a quick tutorial on how to operate these beast machines. From switching from neutral to drive and back to reverse while holding the clutch, its not the easiest for someone like me who doesn’t know the first thing about driving a manual anything. Either way I manage to surprise myself and get it perfectly on the first go. Then. just like that, we are single file driving down the driveway in our orange and yellow safety vests towards adventure. 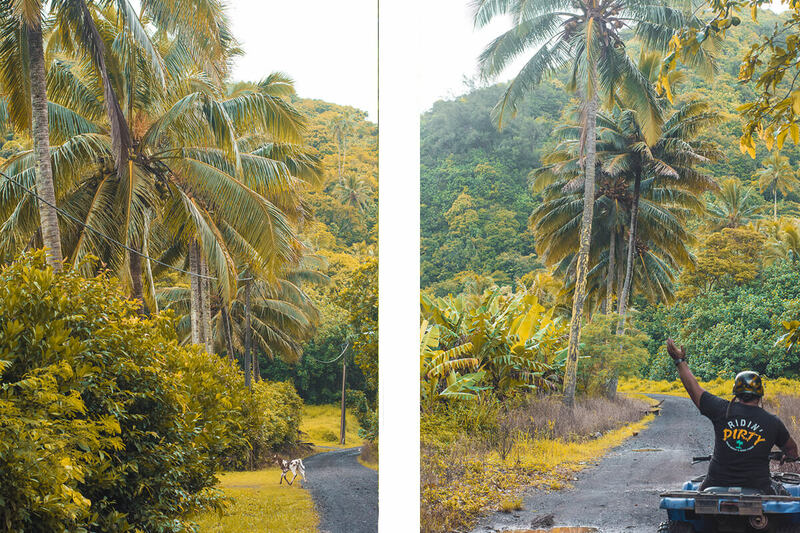 Down a small dirt road the landscape becomes more rural with a tropical farm type vibe. Houses are slowly popping up further and further apart. Life up here belongs to the few locals and their pigs, cows and ducks, minimally ventured into by tourists like us. They all seem to know our guide as he waves to each person we pass. 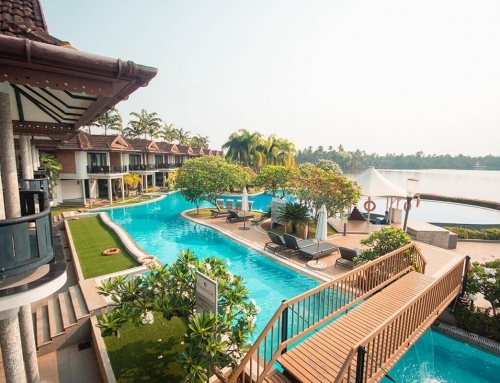 He points out the many amazing views and when to change to the other side of the path to avoid overhanging coconut trees. The famous Rarotongan icon, the needle, looms overhead, high up in the cliff sides. The dense vegetation is home to all types of birds and, as always, the many coconut trees. 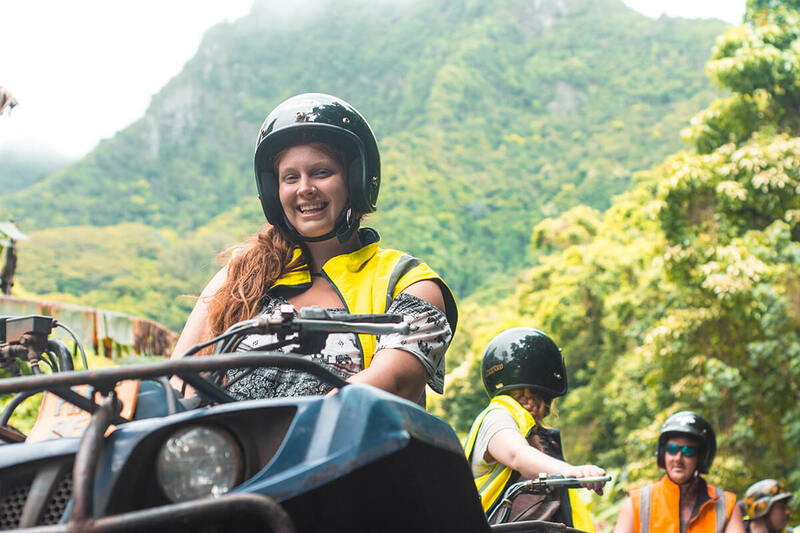 We splash through puddles, get covered in rain and dodge low hanging branches as we ride further into Rarotonga. In the middle of the island we hit a dead end in the track and jump off to take in our surroundings. The forest here is dense with trees that are hundreds of years old. A small stream lightly trickles next to us while small little prawns pop out from their rocks. 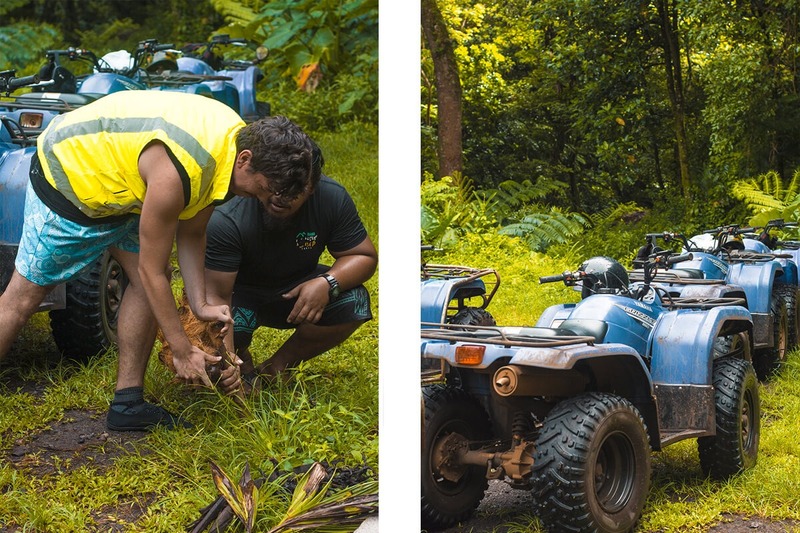 James, with the help of our guide, opens up a coconut, showing off some new skills. We throw small pieces into the stream and watch the prawns take it away for their lunch. Heading back out and into the rain we continue through muddy puddles and back towards the coast. Down various alleys we speed, past the locals and various farmlife. We pass the same ducks and pigs we saw on the way up as we take a similar route down. Turning off the familiar track and towards a local boy he shouts out hi as we pass and waves his hands. The roads are no longer a mixture of loose gravel and mud, having now become paved. The ocean soon shows in the distance and we park up on a nearby side road. Jumping off we head over the a view point and over sharp rocks. The quiet lagoon sits peacefully on one side while the exposed ocean is a dark shade from the stormy clouds above. A short couple minute drive down the road we pull up at the famous Mooring Fish Cafe. 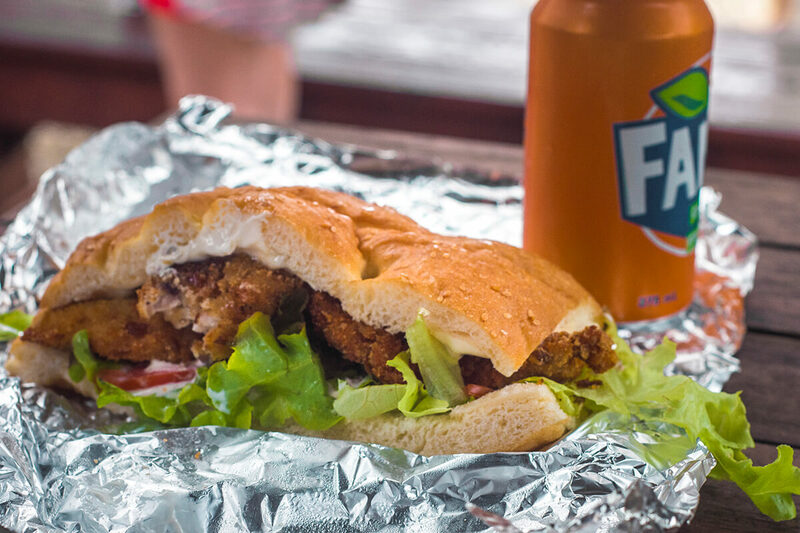 It is known as having the best sandwiches on the island, and trust me there is a lot of competition, I have tried! We chill out for a little bit, enjoying watching daily life pass us by. The neighboring fisherman bringing in their catches and the local dogs making friends with the tourists. After an obligatory photo we jump back on the quad bikes and head back to the hotel. Once there we park up and say goodbye to the crew and the new friends we have made. 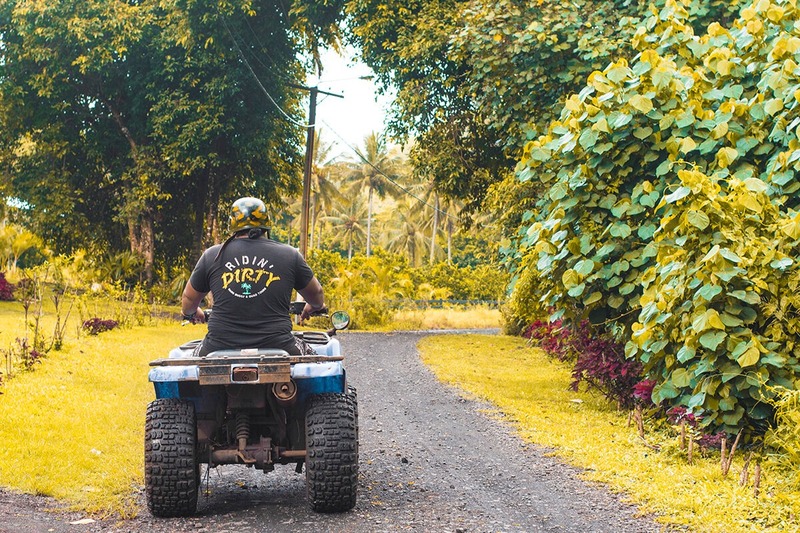 Exploring inland Rarotonga with Raro Quad Tours is a great way to explore a new part of the island that is often forgotten. 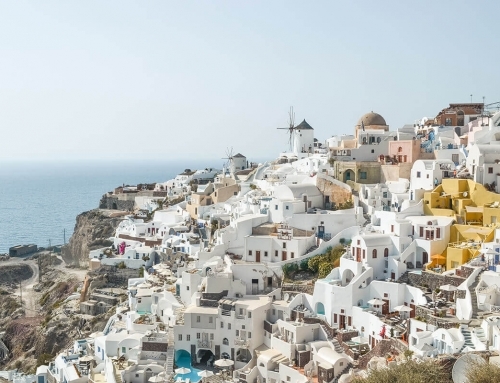 It was also the perfect mixture of adventure and learning about the culture. Plus the amazing sandwich was just the cherry on top! 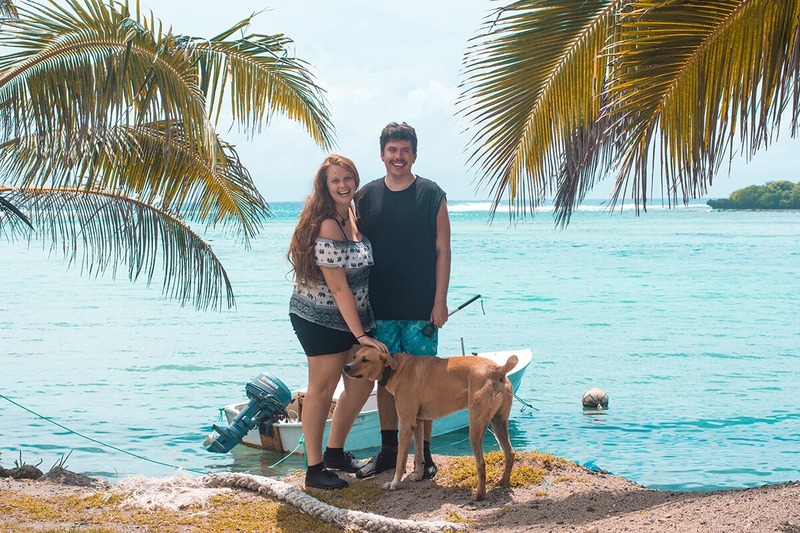 Backpackers Wanderlust was a guest on the Combo Extravaganza Tour with Raro Quad Tours while in The Cook Islands, however, as always, all opinions are my own.